My mother’s favorite toy during the seventies was the Derry Daring doll. 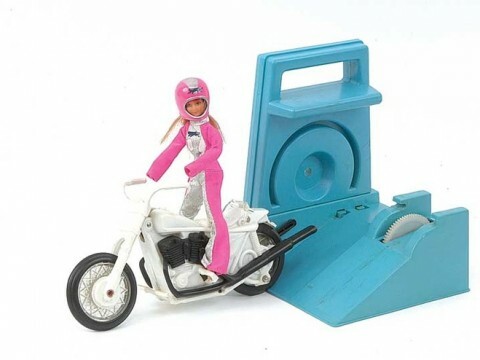 Her Derry Daring doll was on a stunt cycle that she had to put on a wind up mechanism. After winding up Derry on her motorcycle she would disengage and go riding off. This is something my mother liked about the doll because she could set-up ramps and make Derry Daring do different stunts. 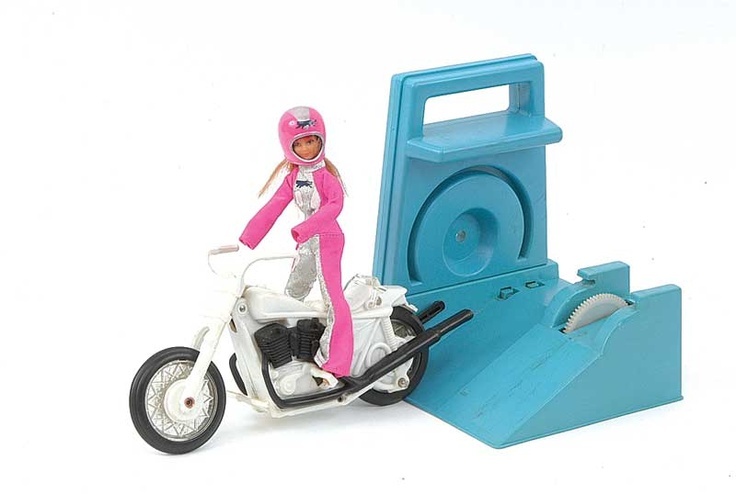 Derry Daring came out in 1975 as the counterpart to the Eval Knievel action figure that did what the Derry Daring doll did. Derry Daring was seven inches tall with blond hair and came with a trick bike. Eventually the company came out with other stunt vehicles for Derry, like the stunt car and camper.